The perfect way to pamper yourself in the shower. 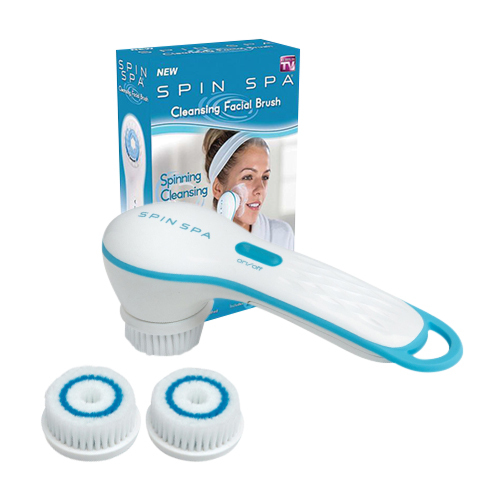 This battery powered Spin Spa will clean exfoliate and massage leaving fresh clean and healthy skin. 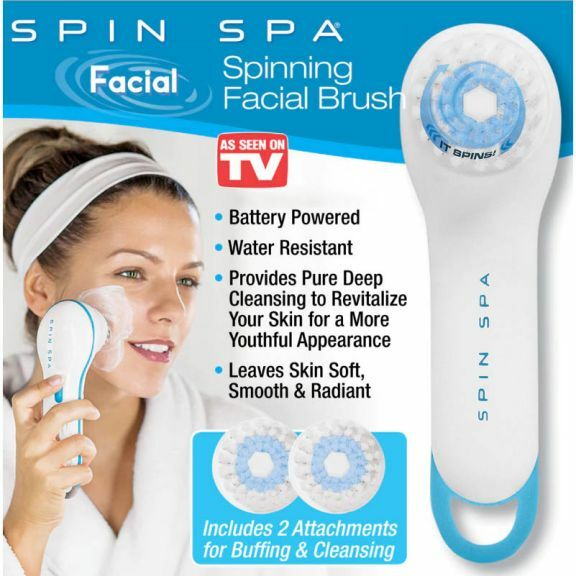 It comes with five attachments for massage, pumice soft bristle microdermabrasion and a mesh sponge. The massage head is perfect for aching and sore muscles and the pumice is for rough skin and calluses.